Skillet meals are my jam these days! I love being able to use one pan for cooking and serving a healthy, nutritious meal. 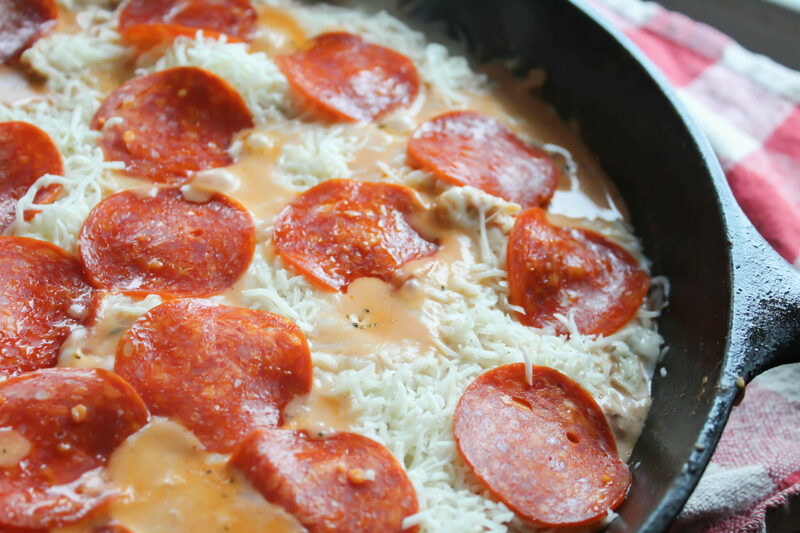 This Pepperoni Chicken skillet meal combines all the yummy flavors of pizza in a veggie-packed, creamy dinner. 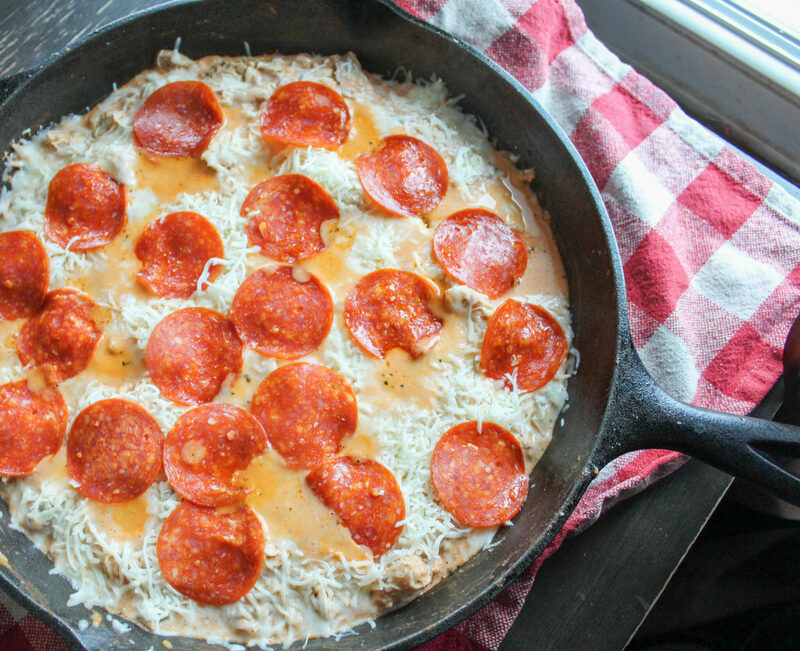 I debated on calling this a skillet pizza. The only thing that stopped me was the whole no crust factor and I’m a strong believer that pizza needs a crust of some sort. But, really you won’t miss the crust in this recipe. Cast iron is my favorite type of cooking pan. I love Lodge brand because it’s durable and pretty budget friendly! 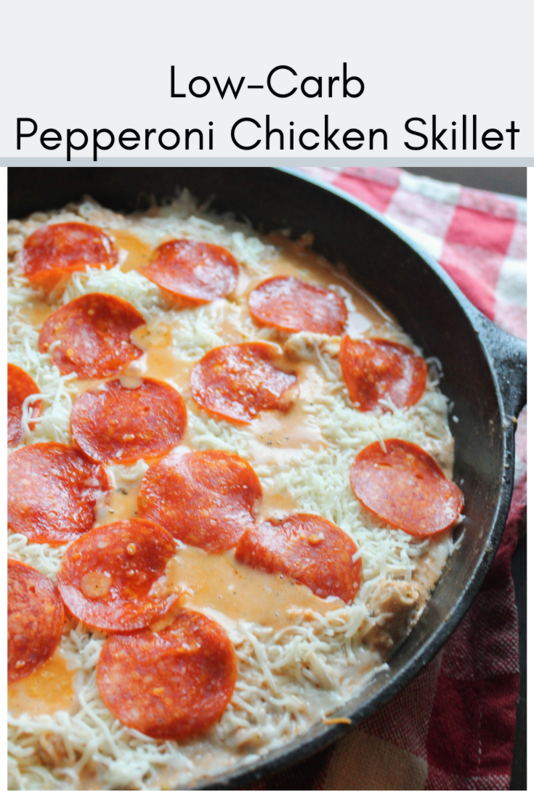 My kiddos adored this recipe thanks to the fact that it resembles a pizza! My husband was also pretty happy with it. Who else is a huge fan of dinners that disguise veggies from picky kids? My favorite veggie in disguise is cauli-rice! It takes on the flavor of whatever it’s mixed with and sometimes it gets so tender that you can’t even tell it’s there. Mixing it with a creamy sauce like in this recipe makes it a winner. I used tenderloins because they are cheap and cook quickly! You can use whatever chicken you have on hand. You can also sub ground beef for something different. Feel free to mix up the veggies and toppings. I’ve made this a few times and I usually just mix in whatever non-starchy vegetables I have in the fridge. Yes, you can freeze this dinner. My only qualm is that the cream cheese sauce doesn’t have as smooth of a texture. Thanks to the cauli-rice, you have enough veggies to serve this recipe as a stand alone. If you’d like you can serve it over/with a side salad. Trim Healthy Mamas, this is an “S” meal. 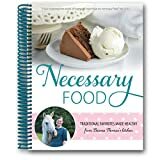 Need More Easy Dinner Recipes? Try These! Pin This Recipe For Later Here! Heat 1-2 T. Coconut Oil or Butter in a large skillet over medium heat. Add chopped chicken and sprinkle with Italian seasoning. Cook until no longer pink. Add the cauliflower rice and mushrooms. Sautee until tender. In a blender or food processor, blend together the tomato sauce, seasonings, and cream cheese until smooth. Pour over chicken and veggies. Let simmer on low for 10 minutes. Top with shredded mozzarella and pepperoni. Serve on it's own or with a side salad. Enjoy!